A1 400mic PVC posters for a cost-effective way to get your message out to a large scale audience, our A1 400mic pvc matt weatherproof poster printing service is just what you need. We use UV ink for printing our outdoor posters, making them fade resistant giving them that extra durability and longer lifespan. Printed on 400mic PVC matt white media single side print, perfect for outdoor shop adverts or promoting an event. Our 400mic pvc matt white posters come in a number of sizes from A2 size to 60 x 40 inches. 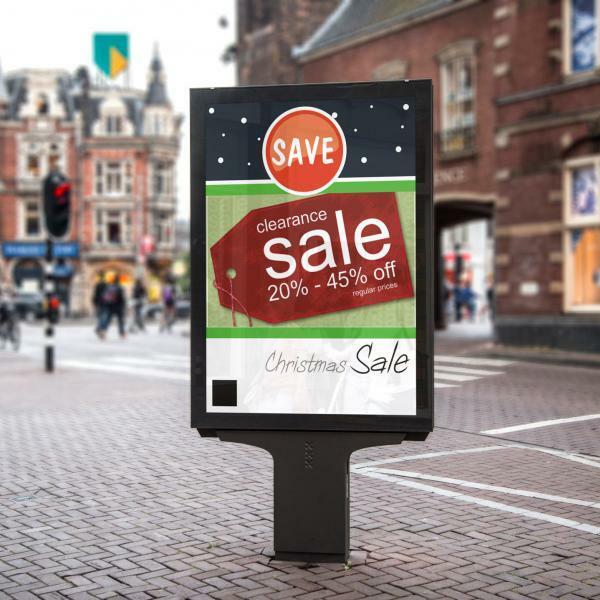 Our PVC posters are best for advertising outdoors as they are weatherproof and durable against the elements placed in poster frames or placed in or on A- Boards. Eco-solvent inks are also used for our outdoor poster printing, eco solvent ink is perfect for outdoor advertising posters lasting for over three months unlaminated, if laminated can last for years. Contact us for Eco solvent ink printing for more detail. 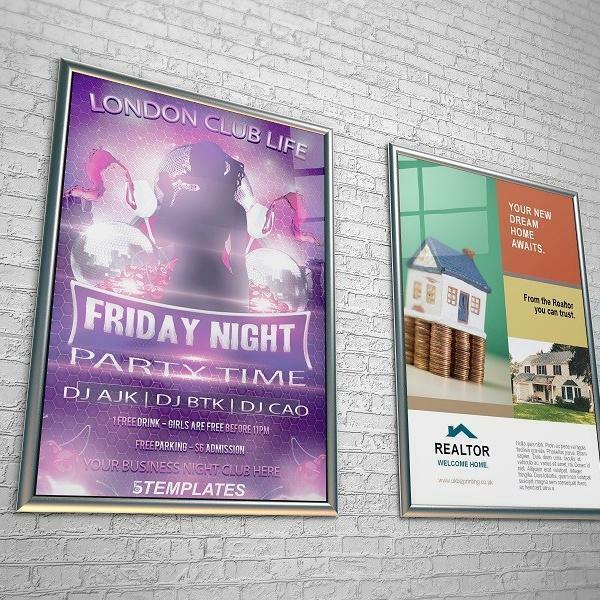 For backlit posters please see our llightbox displays options. Hotels , frequently seen in advertising special services, day trips, tours, points of interest, landmarks, restaurants, announcing dinner specials, a new cuisine, special events, retail stores, offering coupons on announcing new products or sale events, health Clubs, advertising classes, hospitals, creating awareness, announcing services, patient communications, travel and tourism, theme parks, nightclubs, employee awareness messages, music concerts, festivals plus loads more.